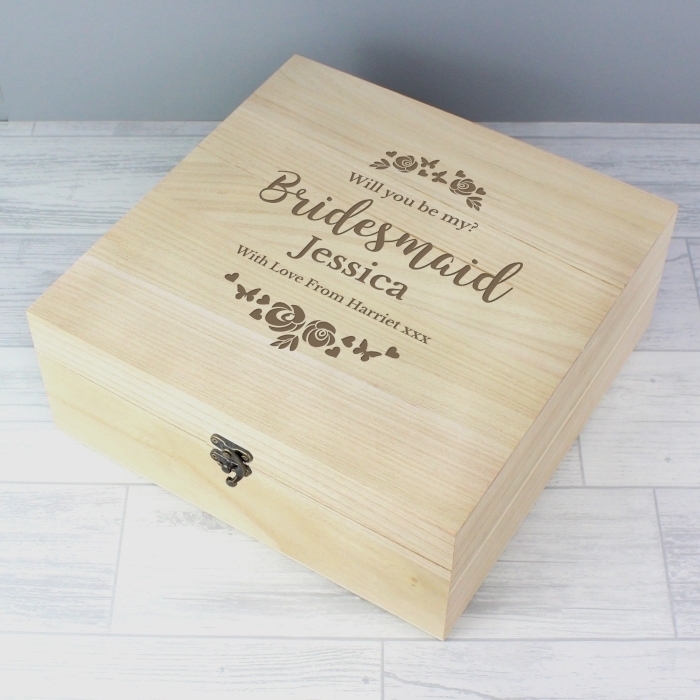 Our Personalised Bridesmaid Floral Large Wooden Keepsake Box is a lovely keepsake gift. 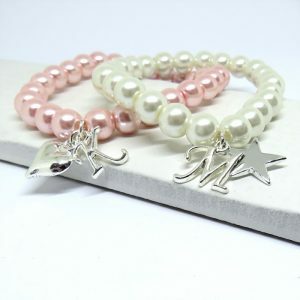 A box that’s ideal to thank her for all the help she gave, or to ask friends to be your bridesmaid. 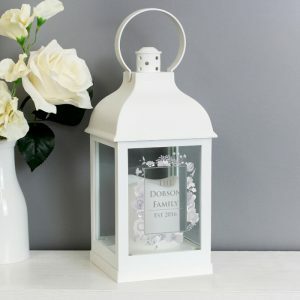 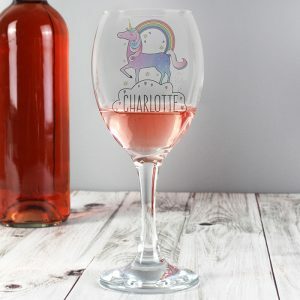 Beautiful to fill with little thank you gifts, or for her to keep precious items safe, it’s a thoughtful gift for Bridesmaids that she can display in the home, and will be a constant reminder of such a wonderful day. 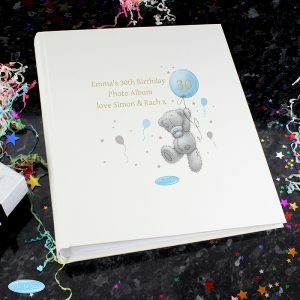 The box features a metal clasp for closure, and a hinged lid, and measures approx 28 x 28 x 10.8cm. 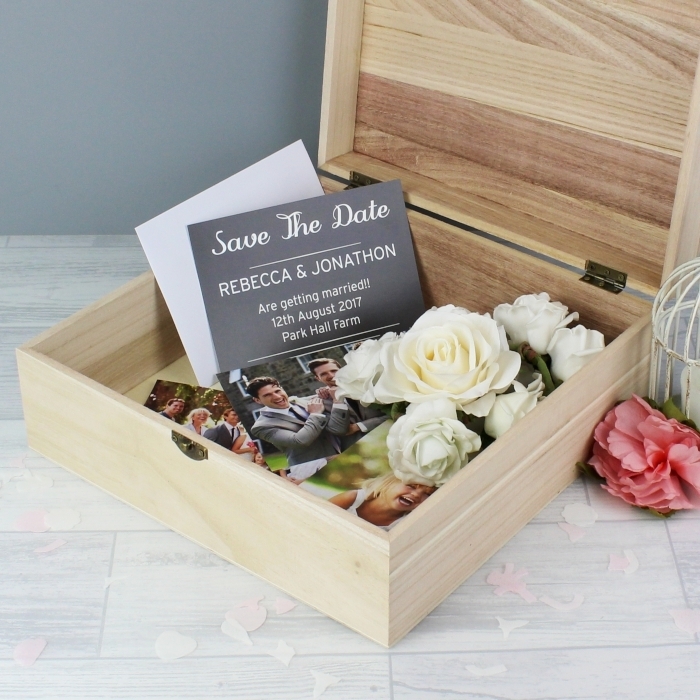 This natural wooden box is personalised on the lid inside the pretty floral design with any 3 lines of message. 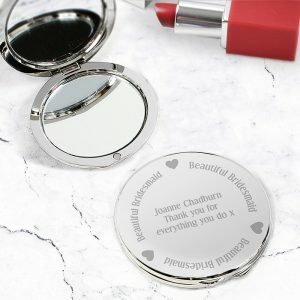 25 characters on line 1, 12 characters on line 2 and 30 characters on line 3, ‘Bridesmaid’ is fixed text. 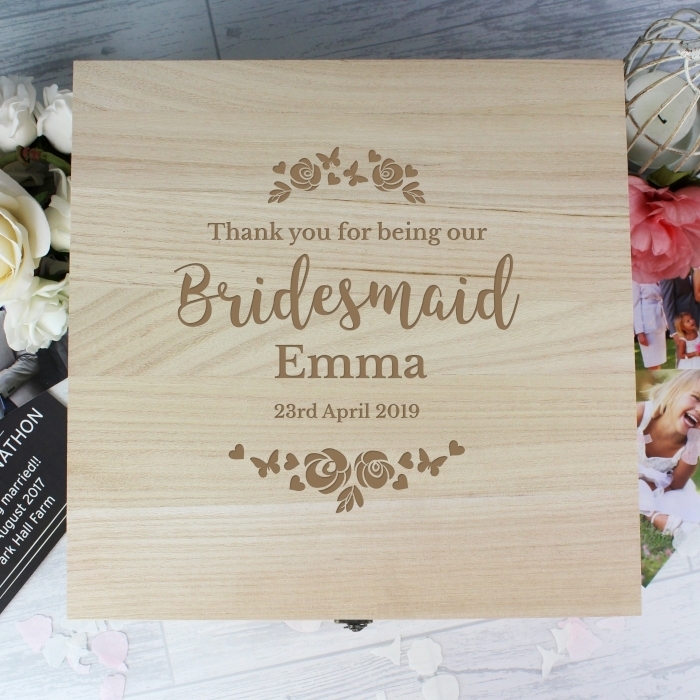 This box is great for an assortment of small keepsakes including photographs, souvenirs, and jewellery, a bespoke gift made by you for all of your bridesmaids.